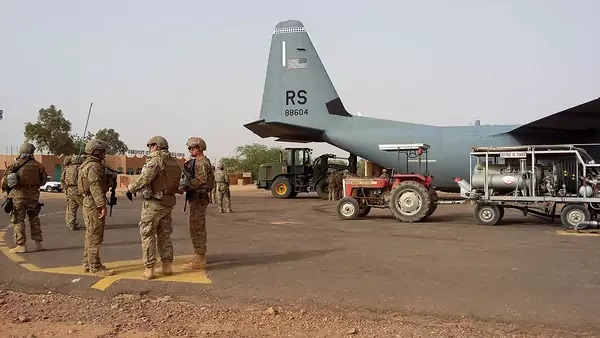 The killing of four U.S. soldiers in southwestern Niger in an October 4 attack has sparked fresh debate over the security assistance role the United States plays in West Africa. The attack is a sign of the ongoing buildup of armed jihadi groups in the region, says Jason Warner, who directs research on Africa at West Point’s Combating Terrorism Center. It is likely to prompt an increase in U.S. counterterrorism forces in Africa and may add to the challenge facing U.S. officials of maintaining a military presence there without becoming intrusive, he says. What happened in the October 4 attack? Initial reports suggested that twelve U.S. Green Berets, who were in plain clothes and in unarmored vehicles, were on a low-risk patrol mission with about thirty Nigerien troops when they were ambushed by about fifty heavily armed militants associated with the Islamic State. Four U.S. servicemembers were killed. Recently, details emerged suggesting that instead of simply participating in a patrol mission, they were trying to track a known terrorist leader called Dandou. After failing to locate Dandou at his camp, the soldiers stopped in the village of Tongo Tongo, where they were spotted and then assailed by these fighters, who are part of a group called the Islamic State in the Greater Sahara (ISGS). How do U.S. military operations in Niger compare with those in other African countries? The sheer number of U.S. troops in Niger reveals the relative importance of the country. The U.S. has between five thousand and six thousand troops on the ground in Africa; approximately eight hundred of them are based in Niger. 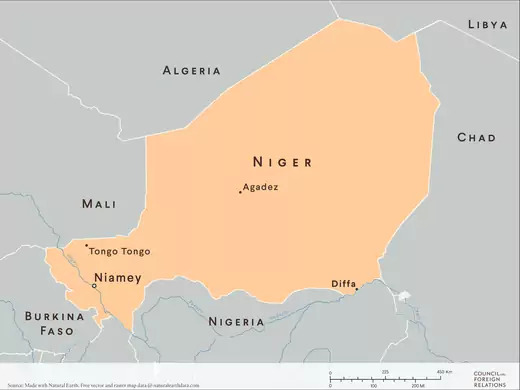 The U.S. is involved in advise-and-assist missions in Niger, as in other African states, but what is unique about its role in Niger is that it has been building a $100 million drone base in Agadez, in the center of the country, to monitor the wide expanses of the Sahara and Sahel, which militant groups have begun to exploit. Recently it was revealed that Niger’s defense minister has requested that Washington start using armed drones to fight these militants. The U.S. obviously uses armed drones for targeting elsewhere, but the decision to use them in this theater could signal deepening U.S. engagement. Though the October mission was described early on as a noncombat one, U.S. and Nigerien servicemembers encountered a combat situation. Was this unusual? From what I understand, the [Green Berets] had been in this area multiple times. Even if they were on a noncombat mission—which it now seems that they were not—people in the area were aware they were there, and the networks that exist in the region likely tipped off the militant wings of the community to ambush them. In general, in the open source domain, we don’t often hear or see significant stories of U.S. troops in combat situations in Niger. How has U.S. policy in West Africa evolved in recent decades? In the aftermath of the Cold War, the United States was looked to as the undisputed global hegemon, particularly to provide a stability-assuring presence, including in Africa. At the same time, it was faced with how not to become overly involved in any conflict not directly relevant to its interests. After nineteen U.S. servicemembers were killed in the Blackhawk Down incident in Mogadishu, Somalia, in 1993, a domestic backlash occurred in the U.S., leading to a retrenchment in U.S. Africa policy by the Clinton administration. Right after Somalia was the Rwandan genocide of 1994, during which the U.S. and other powers sat on the sidelines and faced censure from human rights groups as a result. Then, in 1998, there were the dual embassy bombings in Nairobi and Dar es Salaam, and [Osama] bin Laden was being hosted by Khartoum, in Sudan. That was the initial phase of the U.S. recognizing more profoundly the terrorism threat in Africa. Post-9/11, the United States really got more into the contemporary mode of advise and assist—the notion of “African solutions to African problems.” You saw the emergence of the Trans-Sahara Counterterrorism Partnership; you also see the emergence of countering violent extremism agendas in West Africa beginning in about 2005. There’s been this slow accumulation of new concern about terrorism in Africa. Since the standup of U.S. Africa Command [in 2007], U.S. policy in Africa has tried to approach things through what it calls a light military footprint. We don’t want to have this heavy, permanent boots-on-the-ground presence, and that’s a result of not wanting to anger U.S. civilians, which have sometimes understood that we have too much of a role in African affairs, but also wanting to respect African governments, which have gotten backlash from their civil societies. This is the heart of the post–Cold War Africa security paradox for the U.S.: how to be fully present in the African theater without being perceived as overly present. Who is the United States fighting in the region? Boko Haram, based in the Lake Chad Basin region, especially northeastern Nigeria, has been on the U.S. radar since 2009–2010. Al-Qaeda-linked groups in the Sahara and the Sahel have increased in prevalence in recent years. Throw in the emergence of the Islamic State, which has cells in Africa, particularly in the Sahara and in Somalia, and you see how there’s been this slow accumulation of new concern about terrorism in Africa. Niger is this incredibly tenuously held country at the moment, because it’s essentially fighting battles on three different fronts. In the north is the flow of foreign fighters from Libya and, to a lesser extent, Algeria. On its southeastern flank, it’s embroiled in the Boko Haram insurgency; it’s not primarily in Niger, but there’s a lot of spillover, particularly in Diffa, where a substantial number of refugees have been targeted. In the southwest is a battle against a combination of al-Qaeda-affiliated groups and the group that has been blamed for this attack, ISGS. At the intersection of Mali, Niger, and Burkina Faso are two different poles of jihadi power: the Islamic State in Greater Sahara and a coalition called JNIM, which resulted from a merger of multiple al-Qaeda-affiliated groups that had been battling for supremacy. This area is incredibly complicated because there is this never-ending series of mergers, splits, internal takeovers, and renaming of jihadi groups. Once the Islamic State’s stock started rising globally in 2014 and 2015, there began to be conversations within these groups as to whether they should stay allied with al-Qaeda or pledge allegiance to the Islamic State. ISGS emerged in May 2015, when its leader, Adnan Abu Walid al-Sahraoui, pledged [allegiance] to the Islamic State after de facto defecting from one of the al-Qaeda-affiliated groups, al-Mourabitoun, that is now part of JNIM. Do these jihadi groups present a serious threat to the United States? Yes and no. The likelihood that any of these Sahara- and Sahel-based jihadi groups will pose a threat to the U.S. homeland is minimal. However, they do pose a threat to U.S. interests in West Africa. They have the capacity to destabilize partner nations we want to see succeed. They have the capacity to hurt individual Americans and representatives of the U.S. government in the region. By the beginning of 2017, ISGS had only carried out, to my knowledge, three attacks—none of them terribly significant. Conversely, JNIM conducts attacks monthly, and, increasingly, weekly. When it was revealed that these four U.S. servicemembers were killed, many observers assumed that the assailants would have been affiliated with JNIM. When that turned out not to be the case, it raised eyebrows. Yet, the Islamic State in Greater Sahara still has not claimed the attack, revealing that they now know there’s a target on their back in ways that there might not have been before. Because they are essentially known to have killed U.S. servicemembers directly, they’re trying to lay low by not claiming the attacks. The Niger attack has spurred calls from Congress for more oversight of U.S. military operations in the region. How do you see this debate? This is a region where the U.S. military presence is somewhat significant and has been growing. There were at least a couple reasons it became such a story: One, people just didn’t know there were U.S. servicemembers there at all. Two, there was some politics in how the deaths of these soldiers were handled. Ultimately, though, this was part of what comes along with undertaking these sorts of operations. When you’re embedded in lots of volatile spaces in the way the U.S. military is you’re going to suffer some casualties. There were some mistakes made in the mission, but it doesn’t signal a wholesale failure of U.S. policy on the continent. The backlash and request for reconsidering U.S. Africa policy as a result of this incident is somewhat misguided. It’s been done quietly, but that’s been intentional. And it’s not as though there’s no information out there; it’s no secret that we’ve been in Niger, and throughout West Africa, for years. Yes, there were some mistakes made in the mission, but it doesn’t signal a wholesale failure of U.S. policy on the continent. Could this attack change the way the United States approaches counterterrorism on the continent? We’re not going to see a massive overhaul of the way the U.S. is conducting counterterrorism operations in Africa. Instead, perhaps U.S. commanders will adjust operational conduct based on recognition of heightened threat levels. Indeed, rather than retrenchment, I think an increased U.S. counterterrorism presence in Africa is far more likely. Maybe the biggest change as a result of this attack is going to be in the U.S. public’s understanding of just what the U.S. military is doing in Africa. For a long time, people tended to write off Africa as a poor continent that didn’t pose a threat or have anything to offer. Increasingly, that’s not the case, both for better and for worse.